COVINGTON, Ky. -- Lynn Dziad has a passion for popsicles. Shiver, located at 522 Philadelphia St. across from Goebel Park, offers more than 25 popsicle varieties. Flavors include health-conscious choices such as sugar-free strawberry pops made with fresh fruit, a classic creamsicle and specialty popsicles for adults made with wine, Guinness beer or rum. “I’ve also got a great margarita and strawberry margarita,” Dziad said. The alcohol-infused popsicles contain about 3 percent alcohol by volume. 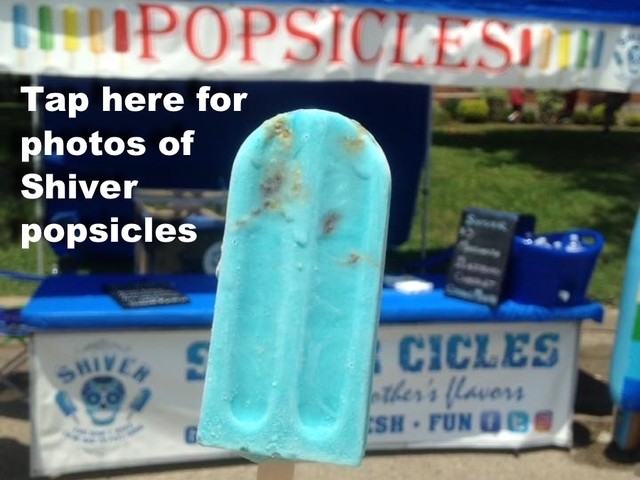 Dziad makes all of Shiver’s popsicles; most include a Greek yogurt base and fresh ingredients. Dziad said she began making homemade ice creams while living in Hawaii for seven years. After moving back to Northern Kentucky a few years ago, she began making popsicles. “There’s just something nostalgic about walking around with a popsicle on a stick,” Dziad said. She started selling her creations at local community events about 14 months ago. That venture inspired her to look for a permanent shop location. Dziad said that she already has regular customers despite being open less than a month. Some visitors are prompting her to tweak how she operates her business, she added. Shiver is open from noon-8 p.m. Tuesday-Sunday.